Keeping the gutters clean of debris should be any homeowner’s priority. The gutters we see today have been in existence for (believe it or not) centuries. In today’s article our experts over at American Standard Roofing talk about the roof guttering history, how it evolved and how it has become an integral part of the roofing industry. Sit tight, we have an amazing article lined up for our readers! Our knowledgeable experts have researched well, and created a nice wealth of information for our readers (with interesting trivia as well). 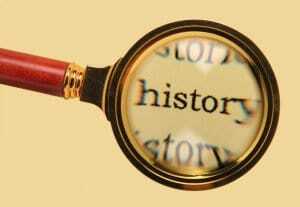 We will show the roof guttering history. We will also highlight how gutters were formed, evolved over time along with their modernization. The earliest form of a gutter on record can be date back to 2600-1700 BC. 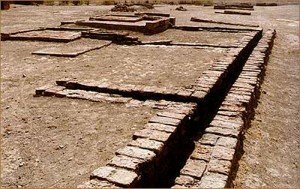 This is from the Harrapa civilization, a part of Indus Valley civilization. It is in current day Pakistan. 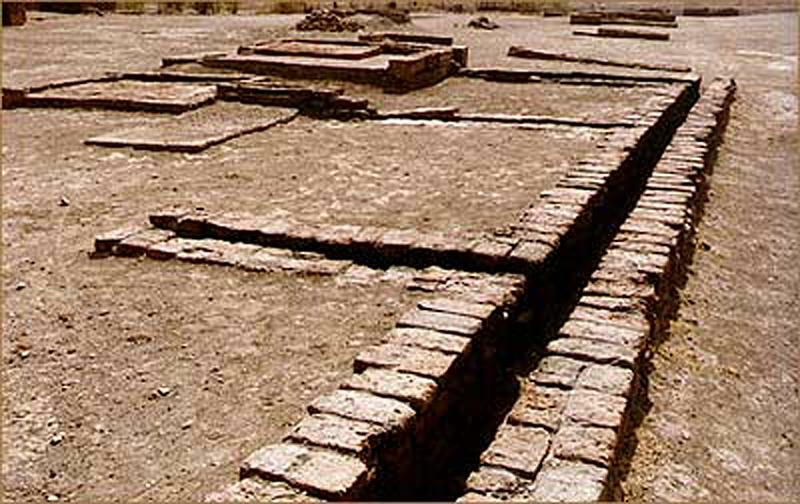 The Harrapan’s used toilets linked by drains that were covered with bricks of burnt clay. 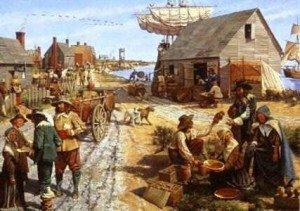 This civilization was unlike any other at the time with well planned streets, public and private wells, drains, bathing platforms and reservoirs. The Roman Empire starts from roughly 27BC – 14AD. The Romans took the roof guttering history and revolutionized it. They created ‘crowns’, slightly elevated center part of the roads. What this would do is take mud and water downhill into the gutters on the side. The gutters would then carry this water runoff away. This helped in eliminating puddles being made in the center of roads. 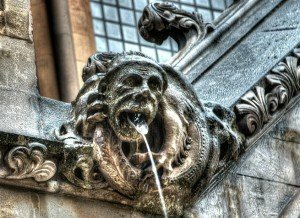 The conquest of Britain by the Romans was a big step towards evolution of gutters. 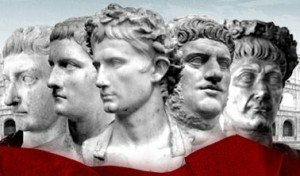 In 43AD – 47AD Romans brought this roof guttering history to Britain. The Norman conquest of England was the 11th century invasion and occupation of England by an army of Norman, Breton, and French soldiers led by Duke William II of Normandy, later styled as William the Conqueror. The precise year was 1066 AD. A majority of structures after the invasion were rebuilt with stone roofs and guard rails on roofs called parapets.These rebuilt buildings were mostly churches and residences. There was a Gothic touch to Norman architecture. Our readers can see from the gargoyle gutter in the picture above. This is from Westminster Abbey in modern day UK. 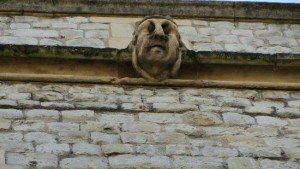 According to historians, the first even downspout to be installed was in 1240 AD on the Tower of London, as it was whitewashed and the newly painted walls had to be protected from the rain. 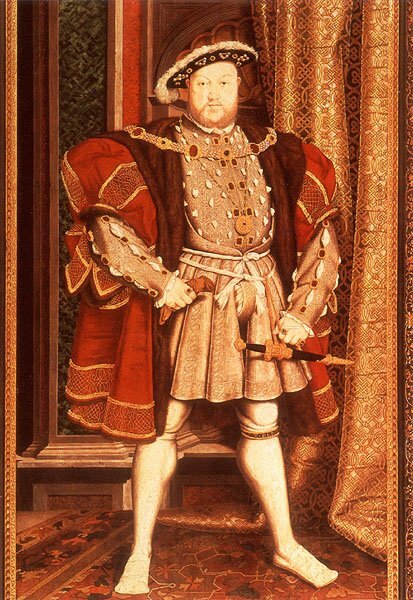 The next significant step in evolution of roofing gutter history occurs under the reign of Henry VIII. In 1536 AD – 1541AD the monarch dissolved all monasteries, This led to a surplus of recycled lead. This is when the local market at the time saw a spike in decorative materials and ornaments for gutters. Coming over to this side of the pond, gutters starting gaining popularity in American colonies by 1710AD – 1800AD. They were simple to make. Most commonly found gutter consisted of two wooden boards in a V shape joined to the buildings by wooden pins or cast iron brackets. 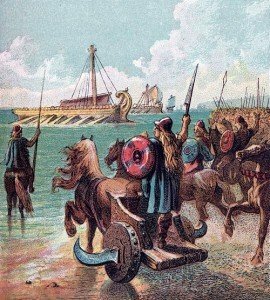 They later evolved into boards with metal lining. By 1825AD, most buildings started using ‘internal’ downspouts in the taller buildings. This was the first of it’s kind in the roof guttering history. Such downspouts allowed water to be invisibly channeled in underwater drainage system. Metal rolling machines came into the roof guttering history picture from 1900AD – 1925AD. They started gaining popularity in the US very quickly. 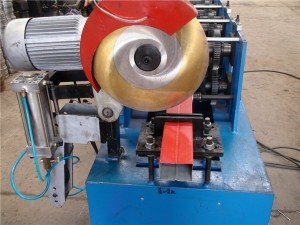 This machine helped builders in installing different types of steel gutters on the edges of the buildings giving the guttering industry a revolutionized feel. World War II had big role roof guttering history. From 1939AD – 1950AD allies saw accelerated development of plastic. With different types and ranges of plastic available, builders and architects had more options to work with. This is also when plastic became the material of choice for majority of gutters in allied land. Seamless aluminum gutter machines were invented in 1960AD – 1965AD. Needless to say, this is when there were drastic changes to how gutters were being produced. Aluminum is lighter in weight and stronger when compared to steel and other metals. Once they were used as gutters roof gutter history changed forever, and = there was no looking back. A report indicates that in the U.S roughly 70 percent of all gutters today are made from aluminum. So there you have it. As we explained the evolution of gutters above, our readers need to know something important. All of these gutters have one thing in common, they can clog up and stop working. It is very important to make sure your gutters are properly maintained. Call American Standard Roofing for your maintenance needs. After all, we install the best gutters money can buy!